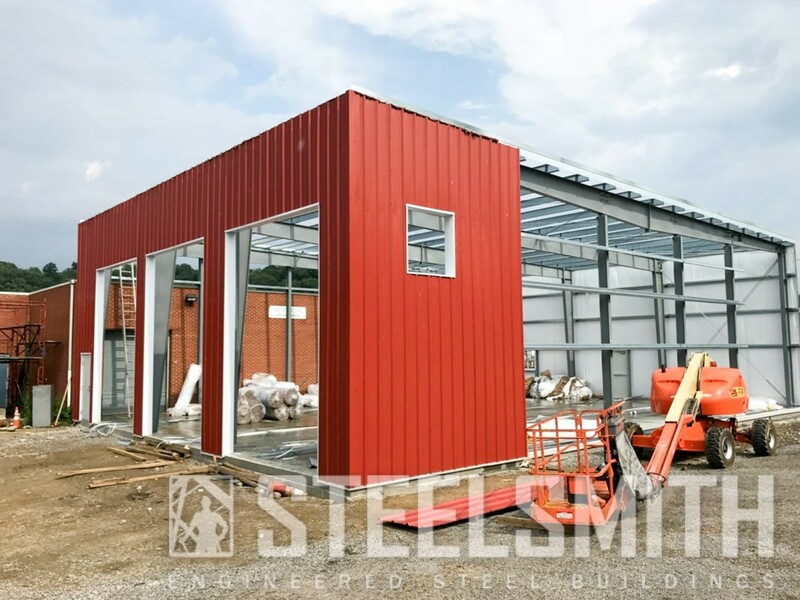 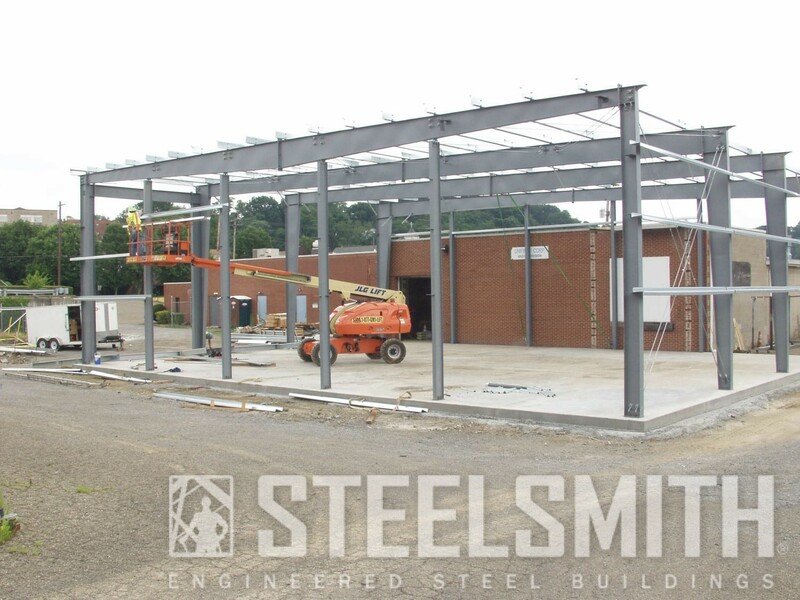 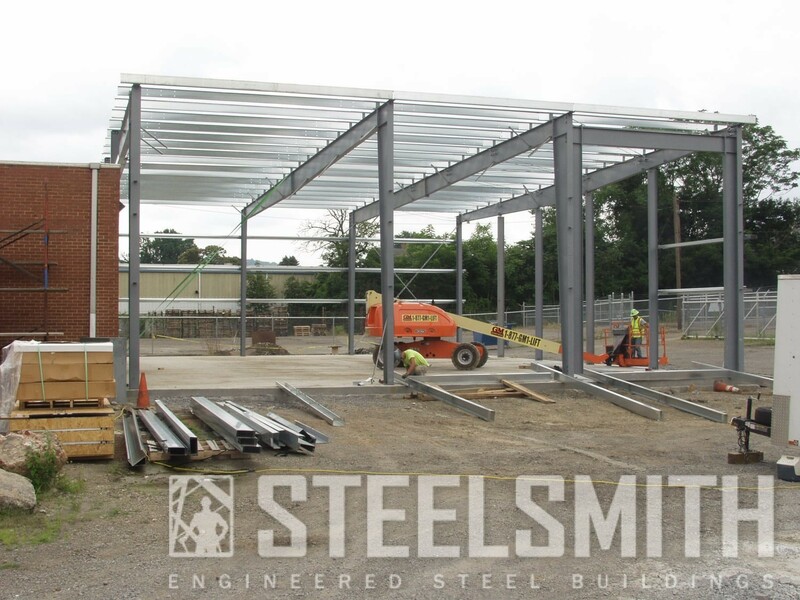 Steelsmith is currently erecting a steel building in New Kensington, Pennsylvania for a company called UniFirst Uniforms. 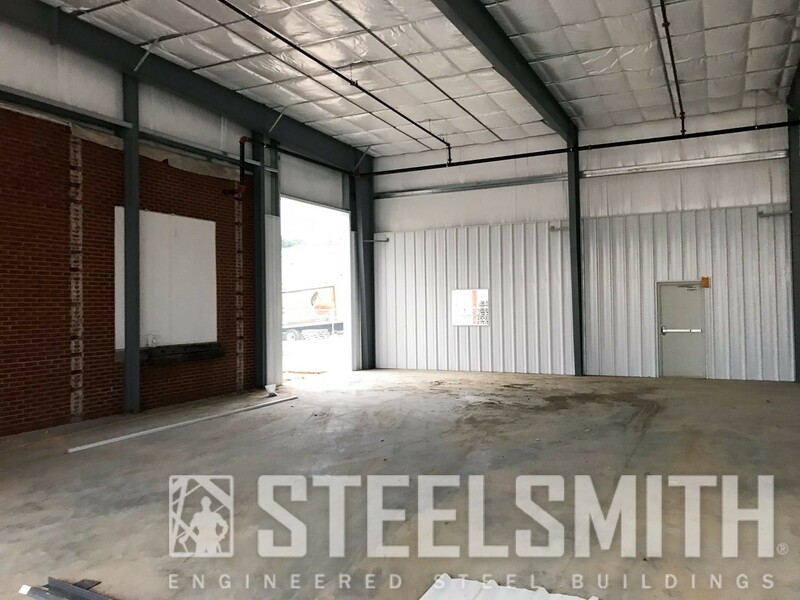 The company will use the structure as a loading area for their business, which provides uniform rental services for PA companies. 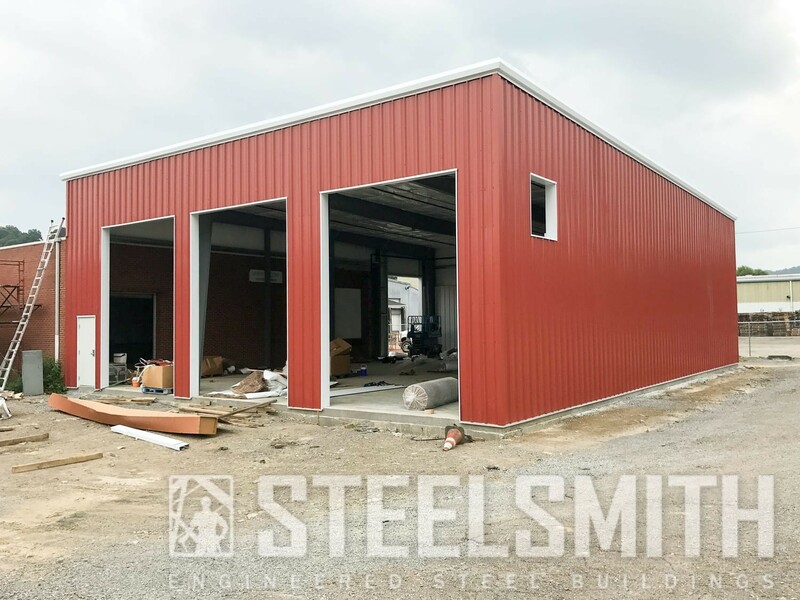 We have completed phase one of three for this building, which includes a single sloped building addition with the following features: high R-value, double layer, banding system, roof insulation.